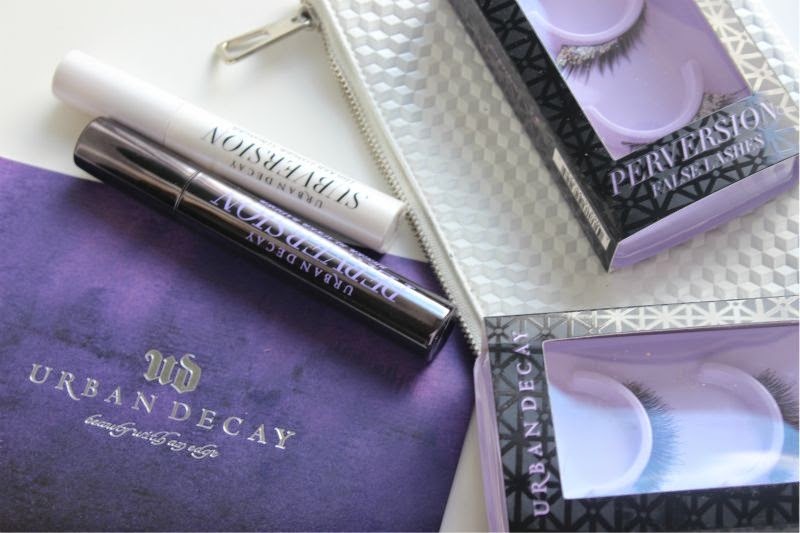 Today I have lots of new launches from Urban Decay to share including their new false eyelashes and perhaps more excitingly the new Urban Decay Perversion Mascara and Subversion Lash Primer! Launching on the 4th of August is the new Urban Decay Perversion Mascara and Subversion Lash Primer which I have been dying to share! Basically Urban Decay Perversion Mascara is blackest mascara I own - it contains triple black pigments (an Urban Decay worker once said that she wished that she could apply the Perversion 24/7 liner to her eyelashes and the rest the say is history). So why should you shell out £17 for a mascara? Well if like myself you are partial to applying a good few coats of said product but hate clumpy, spider lashes then look no further. 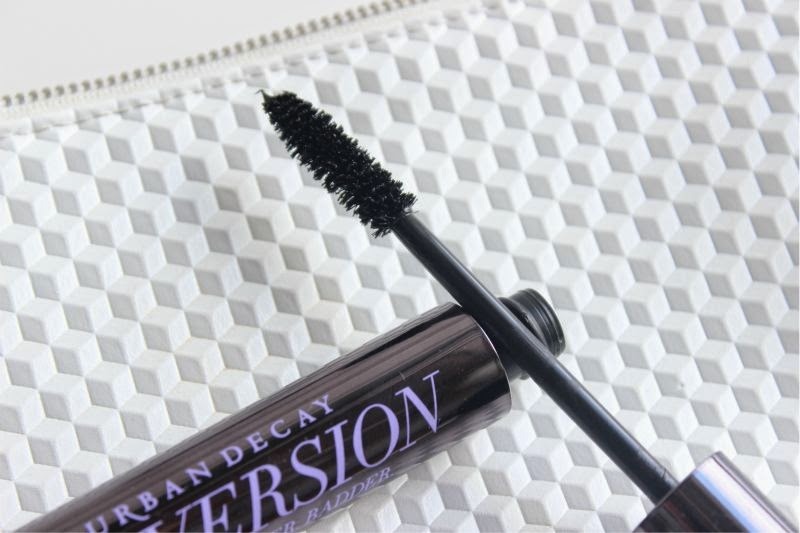 Urban Decay Perversion Mascara doesn't clump, flake or become brittle (it doesn't smudge either, if like myself that is a common problem) - you can literally apply as many coats as you like for added volume and drama without worry. Heck you can even apply a coat in the morning and then up the ante come night fall with a second and third coat with no problems what so ever. 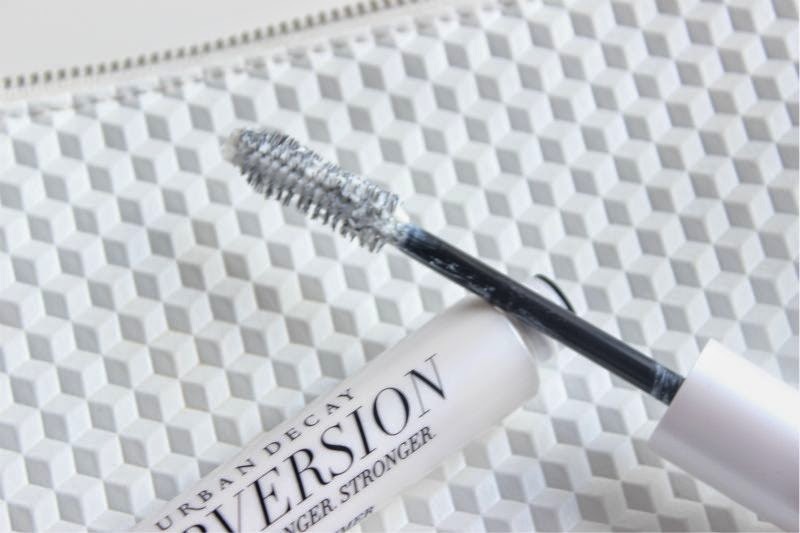 Urban Decay Perversion Mascara adds volume, length and colour in one clean swoop which is thanks to the brush - a large, natural fibre brush that pulls and clings to the lashes to evenly coat them from root to tip. Having small lashes I was a little worried this would be messy but it was easy and gentle to use - even on those pesky inner corner eyelashes. I like that one coat of this mascara gives me lots of length and a little volume but looks totally natural not to mention it is so lightweight yet I can build it up to gain a false lash effect. It isn't often I rave about a mascara but this one really does get a thumbs up from me! When I was in secondary school duo ended mascara's were all the range - one one end you had a white base coat and the other your black mascara. Does anyone recall those? I lost count to how many tubes of the Bourjois version I went through! Apparently not so long ago Urban Decay sold a lash primer potion which was discontinued much to a good few's disappointment? Well Urban Decay Subversion Lash Primer is basically the same thing but with a much improved formula. This creamy, white, whipped mousse mascara won't just enhance the performance of any mascara applied on top of it (unsurprisingly it works well with Urban Decay Perversion Mascara) but it has been formulated to condition the lashes so that they grow to thicker and stronger (it contains lots of vitamin E). Cool huh? Basically all you do is apply a coat of Urban Decay Subversion Lash Primer to your lashes before mascara (I personally let it dry before applying mascara but to each their own) and then apply your eye make-up how you usually would. This eyelash primer clings to the lashes so that they are instantly fuller and longer with next to no work. 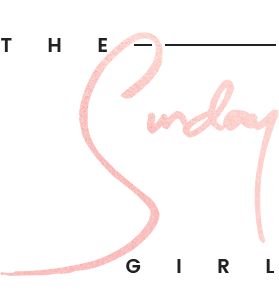 It adds a little weight to the lashes so you may find that you don't need to apply a second (or third in my case) coat of mascara as you have all the volume you will ever need. I find that primers of this type actually help prevent my mascara from smudging not to mention it gives the effect of long, fat eyelashes. 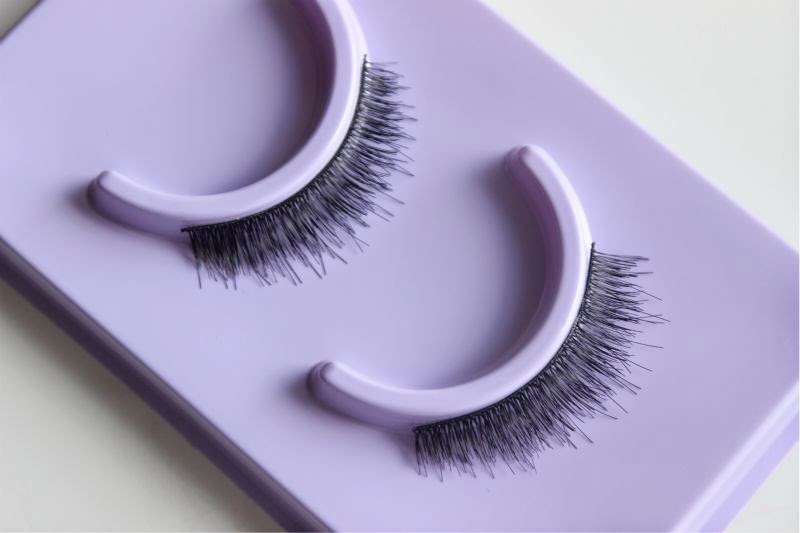 It really is a product that flimsy lashed gals like myself will fall in love with! Next up we have three new sets of Urban Decay Perversion False Eyelashes to collect or choose from. I will be entirely honest in saying I don't really wear or buy falsies but know a well made pair when I see them. 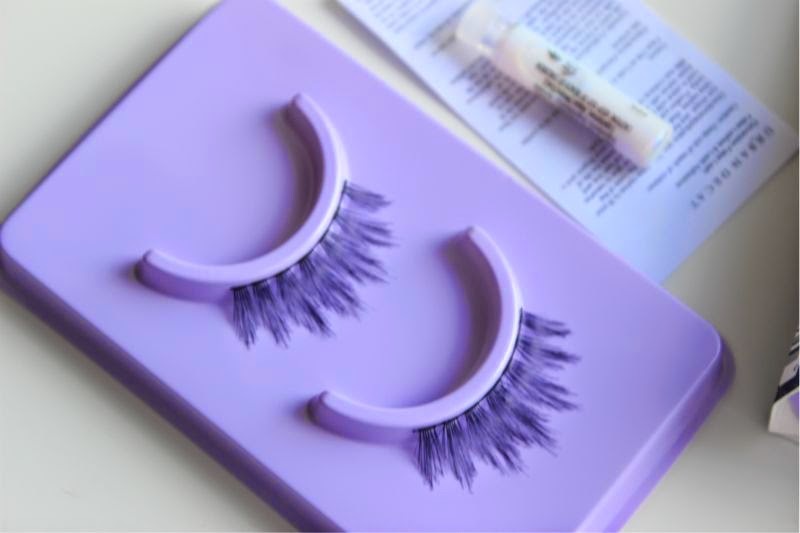 The Urban Decay Perversion False Eyelashes are light weight and made from synthetic hair and each pack comes with it's own little glue tube! 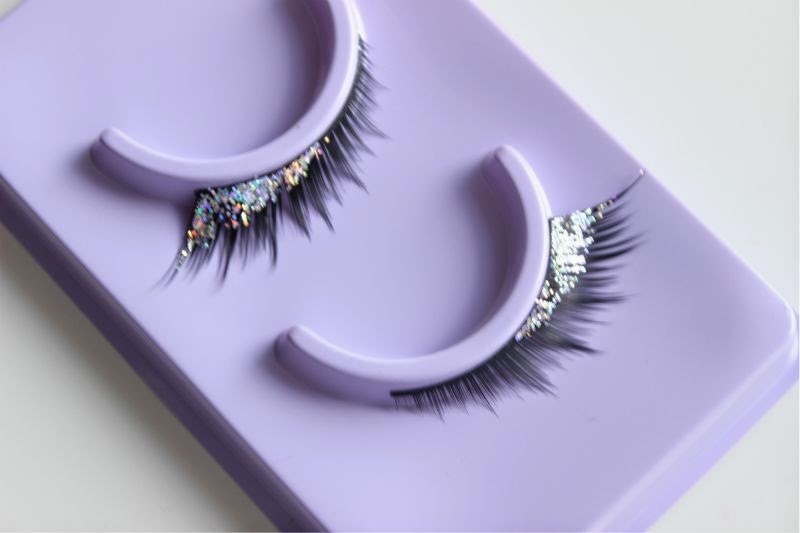 There is three designs to choose from: Glitter Dip - a thick, winged design with a pretty sprinkling of glitter, Trap - thick yet natural bundles of lashes, a great starter kit and lastly Bait - a full on, thick, glamorous lash that offers both volume and length. 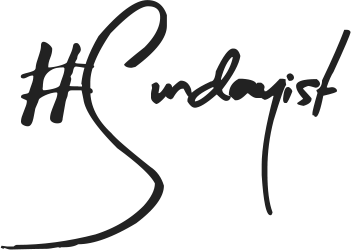 Both the Urban Decay Perversion Mascara (£17) and Subversion Lash Primer (£17) will launch on the 4th of August nationwide and the lashes will launch exclusively at Selfridges Birmingham on the 4th of August and go nationwide on the 1st of September. Wigs for sale.Other females may just wish to increase their hair volume, color or length with these pieces. Some womens top hair pieces we offer add volume just to the crown of the head while others also add length and volume to the sides and back of ladies hair. Womens top hair pieces quickly attach and are very natural looking.